If there was ever a time to keep things simple in the kitchen it’s Christmas. Bizarely, though, it’s often the very time we ignore this basic rule. Time and again we forget the cook we naturally are and try to become someone else entirely in the kitchen! Don’t forget, though (however many recipes and articles you read to the contrary this month): it’s basically just a great big roast lunch with lots and lots of sides. 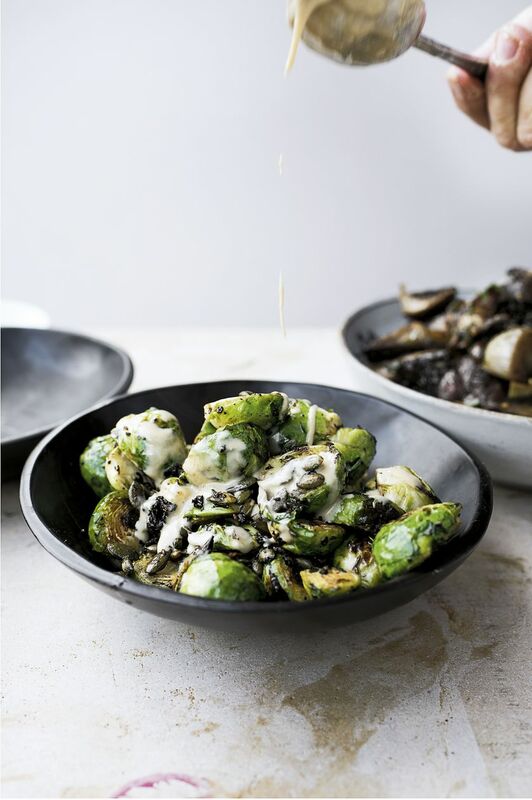 The trick, for us, is to stick with what you know – the roast carrots, the Brussels sprouts, the pan-fried greens – and to then ramp the flavours up from there. Slivers of black garlic and a drizzle of tahini added to your Brussels sprouts, for example, roasting your carrots with rose harissa and sprinkling pomegranate seeds over them, adding chorizo and smoked paprika to your Swiss chard: these are just a few of the simple twists that will enable you to be the cook you naturally are and to wow everyone with the festive feast you’ve made. 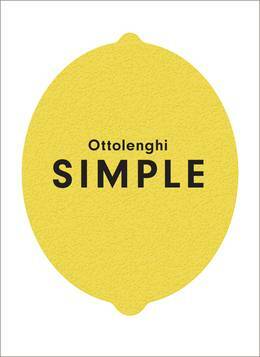 Special, surprising and simple: it’s the Ottolenghi Christmas. 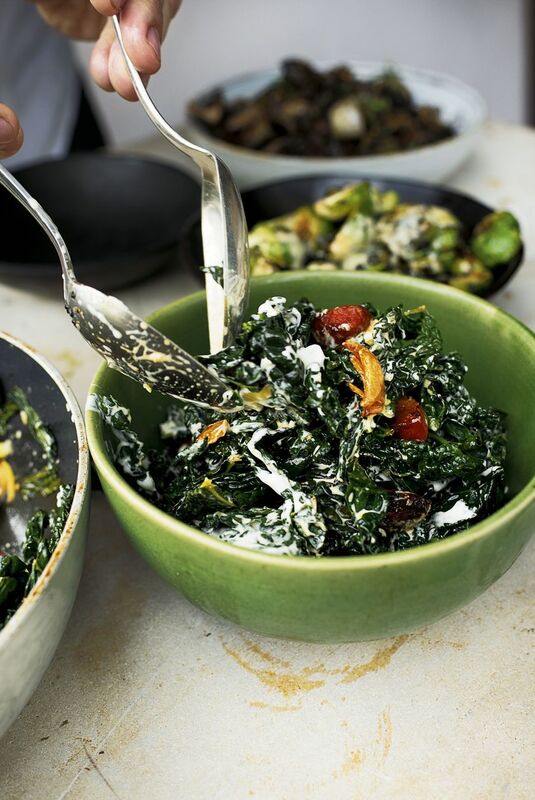 Brussels sprouts like you have never known them. 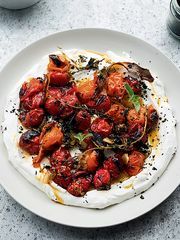 Packed with flavour – the black garlic is a real flavour-bomb of balsamic-liquorice-richness – and made nutty and crunchy from the tahini and sesame seeds. This is the dish to finally convert the sprout’s sceptics. Because what is not improved by the addition of some cubes of pan-fried chorizo? A heaven-sent match to all sorts of things: any roast bird or joint, for example, or other roast veg. 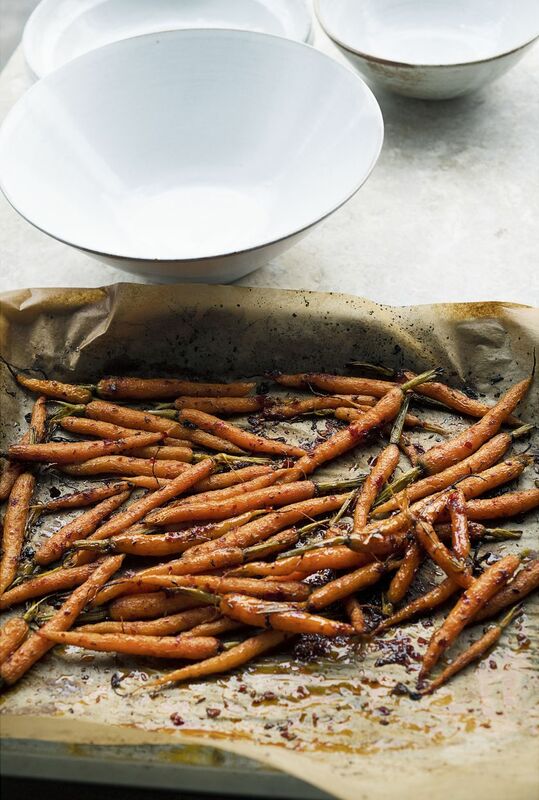 These are your regular roast carrots, with the flavour dial turned right up. 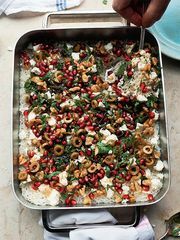 And they look so much the festive part, all sprinkled with jewel-like pomegranate seeds! 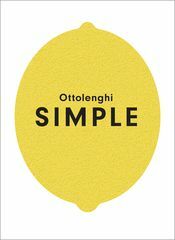 For more simple inspiration to bring a daily dose of Ottolenghi flavour into your life, pick up your copy of Ottolenghi SIMPLE now. 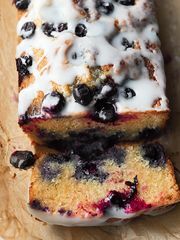 Ever fancied yourself as a cookbook author? 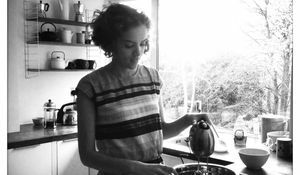 Find out what it really takes in this exclusive feature from Ruby Tandoh, whose debut recipe book, CRUMB, will be published on September 25th. 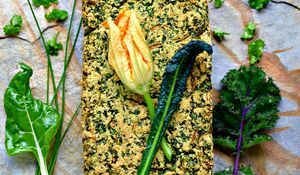 Blogger Kellie Anderson: Eating from Amelia Freer's Cook. Nourish. Glow. 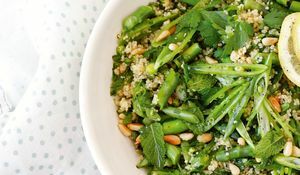 Health blogger Kellie Anderson cooks her way through Amelia Freer's Cook. Nourish. Glow. See how she got on here.